Flowers have always been a part of Martha's world. In the late 1990s, Martha launched a flower delivery service called "Martha's Flowers," a business that was run through her catalog and website. The service was then licensed to 1800flowers.com, a partnership that ended in 2014. Martha is now returning to the flower-delivery fold with a new partnership with BloomsyBox.com, a floral subscription startup that specializes in farm-to-table flower delivery, minus the middle man. The farms BloomsyBox.com sources from are all sustainable and are located in some of the best flower-growing regions in the world, including Holland, South America and California. Each order ships directly from the farm where the flowers have been picked and arrive at your door without the use of plastic packaging - just recyclable paper and cardboard. There are weekly, biweekly and monthly subscriptions available. Martha's partnership was announced earlier this week by Sequential Brands, which now handles Martha's company. Martha's service will launch in December, just in time for the holidays. 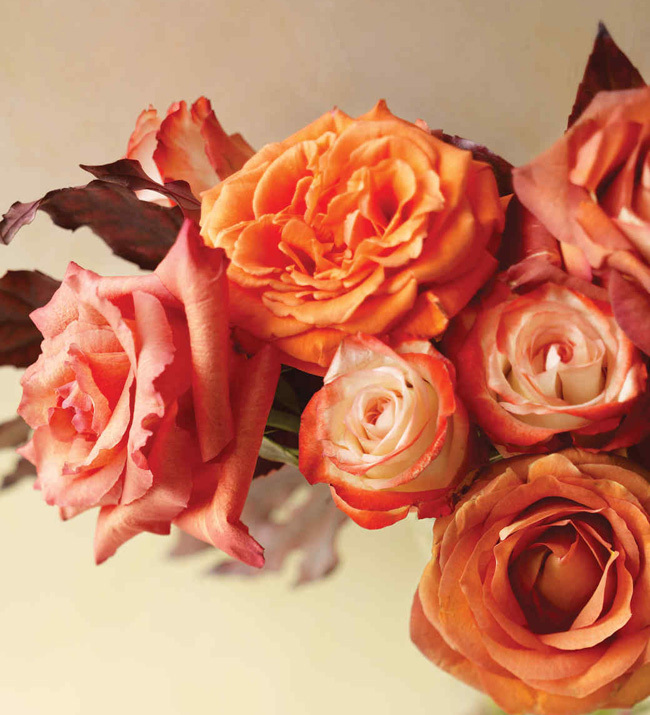 Martha will only specialize in roses to start and will only offer monthly delivery subscriptions. Next year, however, there are plans to expand the business to include more varietals and possibly more subscription options. Click here to explore BloomsyBox.com. Currently, the service only ships within the United States. I wonder if Ms Stewart will be selecting vases/planters **to display the flowers/plants as she had in her agreement with 1800 flowers? **I believe some were reproductions of vases in her personal collection. I believe it will be just the flowers. The company seems to pride itself in delivering ONLY flowers - without any frills. Watching the newest PBS "Martha Bakes" and on today's show there was a segment about collecting cookie jars. I was a nice change of pace and reminiscent of the old Martha Stewart Living morning show. It was an excelent feature. **Which I have previously praised for being handsomely staged and, as usual, very informative.